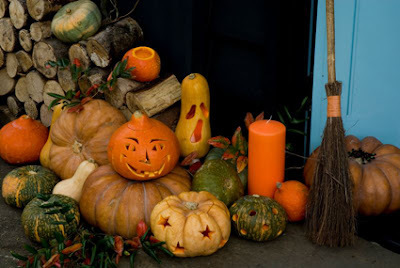 Lanterns carved from pumpkins, gourds, turnips or mangel-wurzels are a traditional part of Halloween celebrations. With a candle popped inside and lit up at night either inside or outside your home, they are a splendid way to show that you are celebrating the scariest night of the year and frighten away any evil spirits. 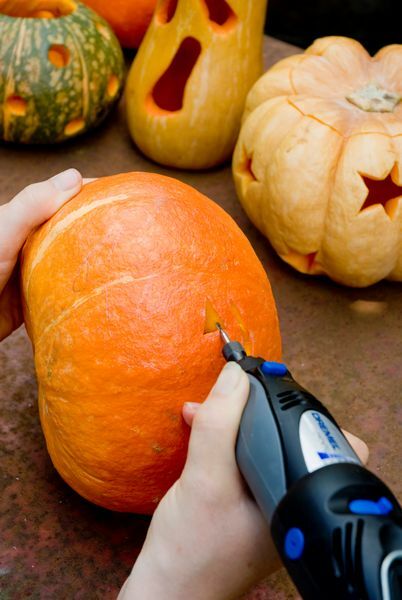 This step-by-step guide on how to create the perfect pumpkin lantern was sent to me by Dremel - which makes arts and crafts tools. Using the pencil, draw your design onto the pumpkin. Press lightly at first until you are happy with the design and then go over the lines to clearly define them. Cut around the top of the pumpkin to form a lid. Set to one side. 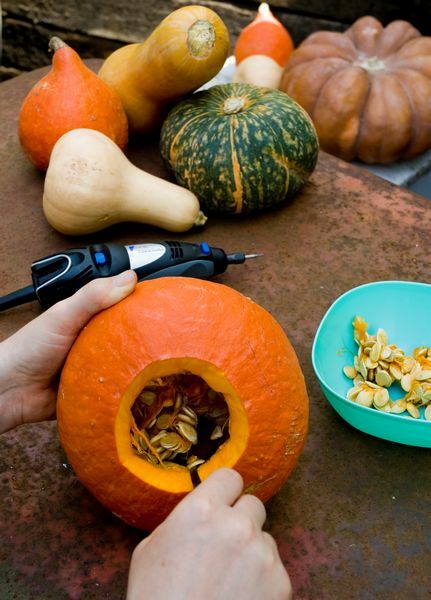 Scoop out the seeds and some of the flesh of the pumpkin with a spoon making sure that you do not puncture the skin. Using the cutting tool, carefully cut out the shapes. Work into the corners and curves carefully to ensure a neat finish. 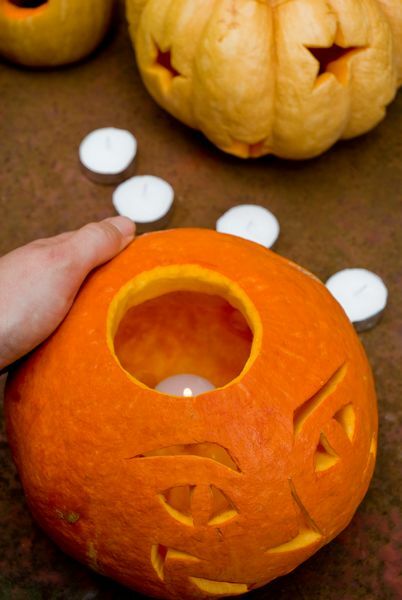 Put a candle or nightlight inside the pumpkin and light to finish. The Dremel Hobby 3000 kit and accessories is available online from Dremel at http://www.dremel-direct.com and you can also order it through Amazon. The high speed cutter is also available separately online or from BandQ.